Big Gods, Good Societies: Do We Need Religion to Thrive? Below is the outline of my talk on the topic: “Big Gods, Good Societies: Do We Need Religion to Thrive?” which I presented at the Yale Faculty Roundtable, February 11, 2015, sponsored by The Rivendell Institute. 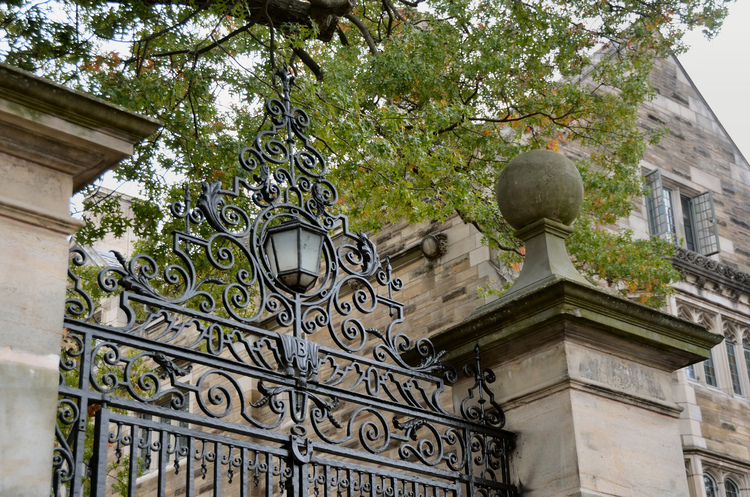 Seventy Yale faculty from more than 30 departments were in attendance. My co-presenter was Ara Norenzayan, Professor of Psychology at the University of British Columbia, and author of the excellent book Big Gods: How Religion Transformed Cooperation and Conflict. Click below to listen to the audio of my talk. Click below to listen to the remarks delivered by my co-presenter, Ara Norenzayan. And below here to listen the audience questions and answers. And below is the outline I handed out about my talk. A. Introductory anecdote from Mooney, Faith Makes Us Live: Surviving and Thriving in the Haitian Diaspora, illustrates why social science should examine the functional and final ends of religious belief and practice. Mooney to Marie: Why do Haitians attend church so much? Marie to Mooney: Because we love God. 1) There are varieties of secular worldviews just as there are varieties of religious worldviews. 2) Democratic societies thrive when the government cooperates with various types of civil society institutions, including faith-based institutions, to promote the common good. 3) Can secular worldviews address existential questions? 1) We are not cultural dopes who just passively internalize social norms or shared beliefs. Everyone, not just traditionally religious people, grapples with existential and moral questions and with their own vulnerability. 2) The narratives we tell about our lives reflect mental labor needed to construct a coherent identity. Our narratives aren’t things that can be made into survey questions or captured in brain scans. 3). What types of communities and institutions elevate moral concerns into collective narratives and common projects? The common good requires moral cooperation not just functional cooperation. a. Peter Berger: The world outside academia is much more religious than inside. Academics often ignore or mis-understand religious phenomenon. c. What are the philosophical assumptions behind our own work about human persons? About ultimate realities? d. What are the narratives that guide our lives? How do we dialogue with others whose narratives are based on different ontological assumptions than ours?